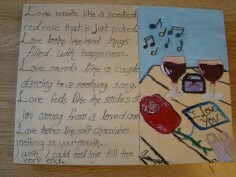 Poetic Art Workshops were originally created to provide youth with the opportunity to express themselves by using inspirational poetry and art images. 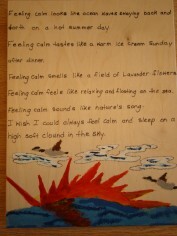 The art workshops focus on the creation of poetry in order to effectively foster the development of literacy as well as creative, artistic skills. 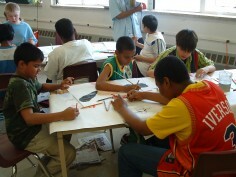 Poetic Art Workshops are focused on creative learning and work effectively to make learning fun. Poetic Art Workshops enable youth to think imaginatively and critically about the world around them, identify and solve problems and explore their emotions — all within the context of a learning experience that engages their hearts and minds. During the art workshops, students are instructed to develop not only creative visual artwork but also expressive poetry that explores their thoughts and emotions. 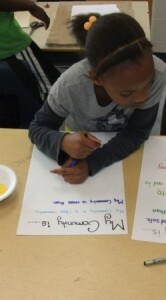 The poetry component of the workshops help to foster literacy skills and elevate a student’s self-confidence in using words for positive self-expression. 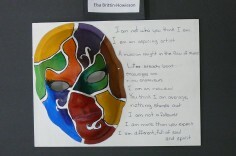 The art workshops provide an opportunity for youth to use poetry and art to explore their inner selves while making connections with colour, words, emotions and ideas in a unique and creative manner. 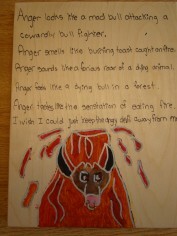 Youth who are exposed to Poetic Art Workshops often find themselves opening up and expressing hidden thoughts and emotions that they do not feel comfortable expressing in other settings. 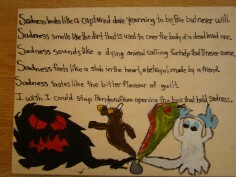 Poetic Art school and community workshops have been done using fabric, wood, paper mache masks, wood panels, etc. The workshops provide youth with an opportunity to experiment with various creative materials and also to enhance their literacy skills through poetry. 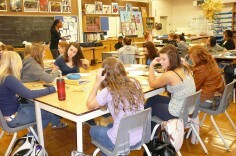 The workshops provide students with an opportunity to bring their creative talents to light. 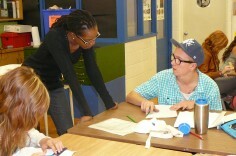 Roxane Tracey has been facilitating Poetic Art workshops in Toronto schools and community centres since 1999. 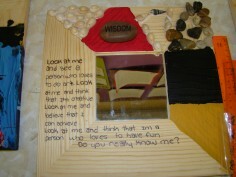 She has worked with grades 3 – 11 in primary schools, elementary schools and high schools. 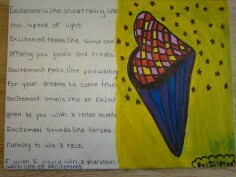 Contact us to request an information package including pricing for various Poetic Art Workshops. 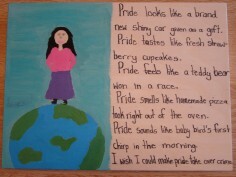 View samples of student Poetic Art below. 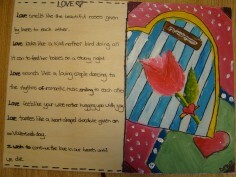 Watch the video of Poetic Art Workshops in schools and community centres inspiring creativity and enhancing creativity. 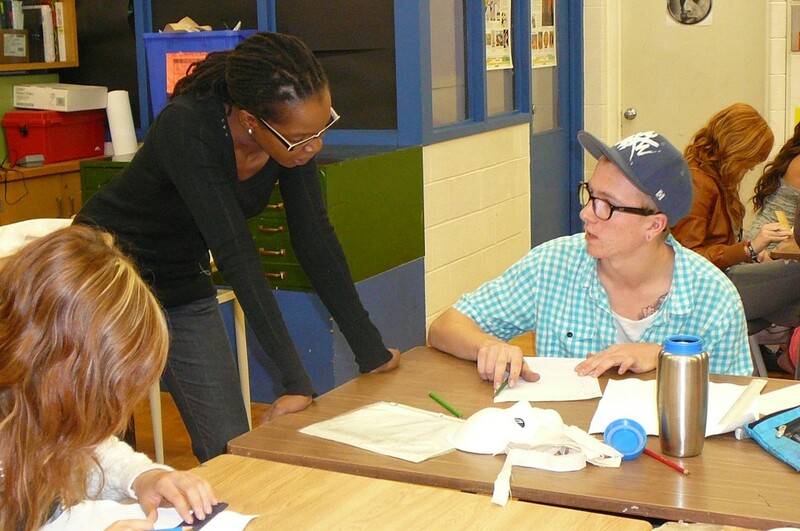 Poetic Art Workshops have provided a variety of participants including seniors, youth and women with an opportunity to express themselves though both creative art and inspirational poetry. 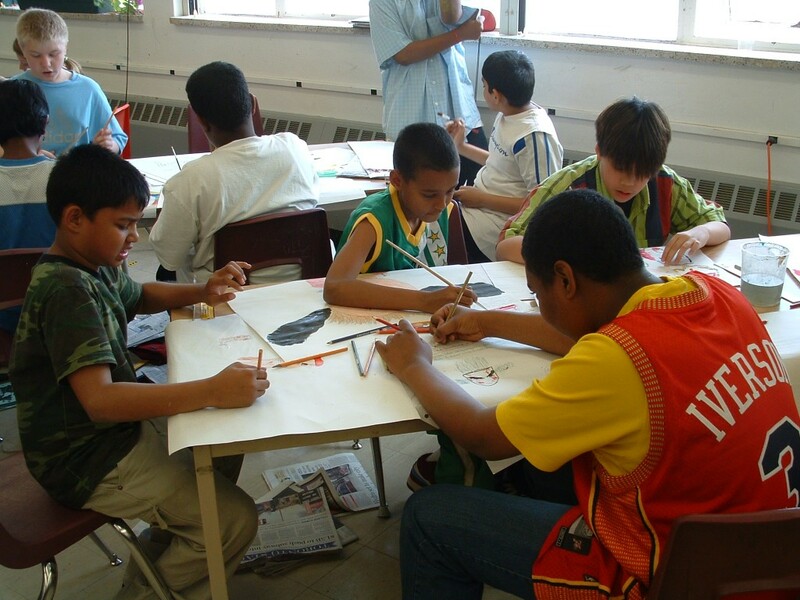 Poetic Art community workshops have been done in partnership various local organizations including ArtStarts arts organization and Moorelands summer camp. 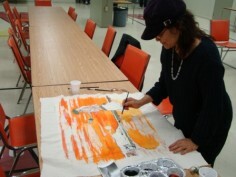 During one of the ArtStarts workshops, an enthusiastic group of seniors participated in a four-day Poetic Art batik workshop where they had the opportunity to create inspirational poetry and creative artwork. The seniors had fun developing their artistic creations and finished up the workshop with a sense of pride and satisfaction. Many of the seniors had not explored their creativity in many years and were amazed with the creative potential the Poetic Art workshop revealed within them. As a result of the workshop, many of the seniors were inspired to try and find other ways that they could use to explore their inner creativity in the future. Poetic Art Studio has also worked with a variety of women’s groups including the YWCA, and Women’s Health In Women’s Hands (WHIWH) to do workshops focused on themes of female empowerment and sisterhood. 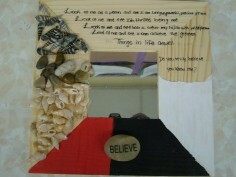 One of the Poetic Art Workshops offered to women’s organizations is the ‘I Am a Woman’ creative greeting card workshop. During the first part of this women’s empowerment workshop, participants have enlightening in-depth discussions about some of the social challenges and barriers related to womanhood as well as their own personal sense of womanhood. 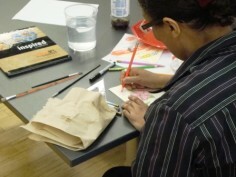 The second part of the workshop is focused on both art and poetry development. During this half of the workshop, participants express their ideas, emotions and thoughts through both empowering poetry and creative art and create an inspirational greeting card that they can keep or give to someone else to provide more insight about them. Participants are often left with a feeling of inspiration at have been given a space to creatively express their thoughts and emotions through poetry and art as well as a sense of pride in their Poetic Art creations that speak to issues of womanhood and empowerment. 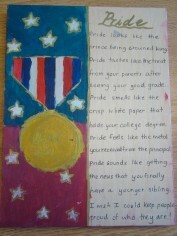 Working on community art projects is rewarding whether working with adults or youth but there is a heightened level of personal satisfaction when a young person produces a rich and inspiring piece of poetic art. 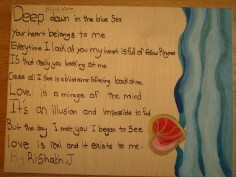 We spent six weeks working together (myself and two groups of 25 youth) to create arti stic and poetic representations that reflect their perceptions of their community. 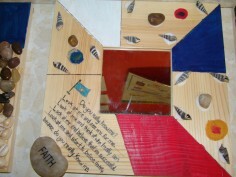 Issues of violence, environmental cleanliness and respect were present in many of the Poetic Art creations. 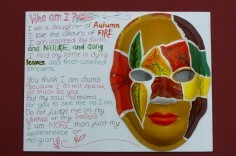 I was hoping that the project would give youth an opportunity to ‘speak’ openly about their perceptions about their community through both poetry and art – in the end the results were extremely insightful. 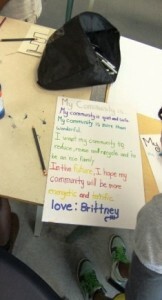 For more information about community art workshops for youth, seniors and women, contact Roxane Tracey at Poetic Art Studio. 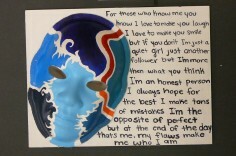 © Poetic Art - All rights reserved.